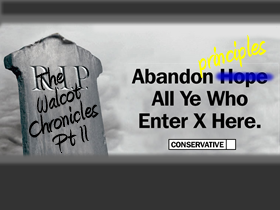 This post is a continuation of an earlier blog: Abandon Principles, All Ye Who Enter Walcot Politically? The Missing Money of Walcot Mystery continues to deepen as I publish more information concerning Walcots two Conservative councillors, Mvis Childs and Peter Mallinson, and how they seem to have acquiesced in helping their political group take £225,000 of capital money be taken out of their ward so it could be used to help plug a hole in Rod Bluh’s 2010 Black Hole Budget. The Council recently received this payment and as the premises were leased, officers are exploring whether the sum can be treated as revenue income rather than a capital receipt. Cllr Mark Edwards proposed to use this £225,000 to balance his budget, (we all know how that went, but…), and cabinet voted this through. On Thursday the 8th of April 2010 the Scrutiny committee met “To allow the Scrutiny Committee to consider the decisions arising from the Cabinet Meeting and review the process of Cabinet decision-making and the decisions made”. Cllr Edwards 2010 budget was discussed at length and Councillors Peter Mallinson and Mavis Childs were both present in their roles as members of the committee. Records of the public questions show that Talkswindon members Richard Symonds, Des Morgan and Chris Watts were also there. I hope Richard, (because of his ongoing dedication to all things Walcotian), will remember the following because the public record appears to directly contradict information currently being broadcast from Walcot. It would be good to have the minutes verified by one or more witnesses. (I’ll come back to this later). “Councillor Nick Martin referred to the return of the Oakfield Campus from Bath University and the payment of £225,000 in respect of the lease and the use of this money to “absolve particular overspends in Departmental Budgets”. He suggested that the use of the money to only clear overspends was disappointing. To be clear then, the £225,000 Bath University paid to SBC disappeared into Cllr Mark Edward’s Budget Black Hole, seemingly into adult care. This was proposed at cabinet on the 10th of March 2010 and challenged at scrutiny by Nick Martin on the 8th of April 2010. I am reliably informed that[b] neither Cllr Mallinson or Childs uttered a single word in comment or challenge when Cllr Martin challenged the intended use of the £225,000[/b], and were apparently unconcerned that £225,000 of capital money was about to be rebranded as ‘revenue’ by the cabinet and was to be Bluhvered away from Walcot & Parks. Both Councillor Mallinson and Councillor Childs then voted to pass the budget through scrutiny. In April 2010 a freedom of information request regarding residual monies from the (now defunct) Parks & East Walcot Renewal Company was received by the Swindon Borough Council Cabinet Office, (Under the Control of Bluh’s political assistant and ‘Staff Officer to the Cabinet’, Douglas Campbell). To date, this request has remained unanswered. A similar freedom of information request submitted by Richard Symonds has now been illegally refused by Jill Neale, an officer of the council. It may be a pleasant refusal, but it is nevertheless an illegal refusal. 1. If the £225,000 ‘Oakfield’ was used to balance the 2010 budget, how can the recent statement “The Oakfield Money is safe” be true, and why is it being made? 2. Why did a West Swindon Councillor see fit to voice concern about the £225,000 ‘Oakfield’ Money, but neither Walcot Councillor, (both members of the scrutiny committee), did so? 3. Did Cllrs Mallinson and Childs enter the Scrutiny meeting on the 8th of April 2010 and conduct themselves according to a pre-determined political plan? 4. There are multiple contraventions of the [url=http://www.legislation.gov.uk/ukpga/2000/36/contents]Freedom of Information Act 2000[/url] What is being suppressed? 5. On we on the verge of discovering why Mavis Childs changed her voting intentions on Cllr Edwards’ 2nd 2010 budget and what her pre-vote conversation with Cllr Edwards was really about? Something, possibly several things, smell more than just a little bit whiffy here. A discussion topic is already open on the Talkswindon Forum.